DICTATOR door closers - solutions and innovative products for over 80 years! Dictator door checks are not conventional door closers – they are designed to catch a closing door just before it slams and then quietly and smoothly pull it shut. They help prevent noise disruption, hold the door closed and protect door and frame from damage. Compared to standard swing hinges Dictator swing door hinges offer some distinct advantages. There are many size options available to suit different door thicknesses as well as a range of materials and finishes. Suitable for lightweight partition doors up to heavy duty industrial doors. Dictator manufactures a range of door and gate closers to suit various installation requirements. The DIREKT, for easy installation to existing doors and gates and the concealed RTS door and gate closer. For decades, the highly reliable DICTATOR WAB 180 floor spring has been proving its worth – particularly on heavy entrance doors such as those in churches, museums and public buildings. 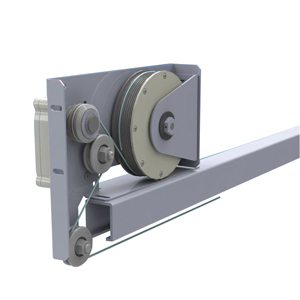 Suitable for heavy hinged doors up to 600Kg. Dictator Back Checks prevent doors from being thrown open at speed through carelessness or when caught by a gust of wind. By limiting the opening angle of the door and providing a constant damping effect they prevent damage to property and help to avoid personal injury. Particularly useful on external, outward opening doors. The DICTAMAT 50 sliding door closer reliably closes the door at a constant speed without the need for an electrical power supply. Closing speed can be adjusted to suit requirements. Installation can be achieved in a variety of ways to suit the requirements of different door configurations. Sliding doors are increasing in popularity due to the space efficiency that they provide. Dictator supply equipment to further improve on the advantages that sliding doors offer: products to close sliding doors, control operating speed, allow retrieval from concealment in wall pockets, mechanically delay closing and much more. The Dictator ZE door holder is an elegant, yet robust, high quality product that allows a door to be firmly secured at any given position. Available in a variety of lengths and different finishes. Sturdy ball type door stops are also available. Closing springs close the door using energy stored in a mechanical spring. Because of their extreme simplicity, the closing speed is not adjustable. Both surface mounted and concealed closers are available.